Promote kindness to those around you! I use these coins to reward students for kindness in the classroom. I have been using these coins for years although not as often as I would like due to their cost. 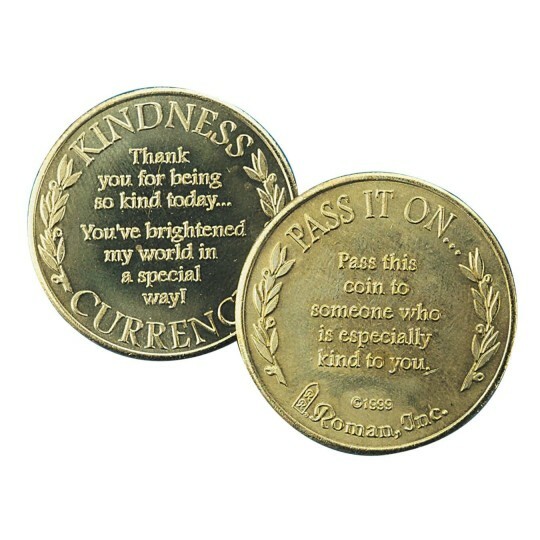 I have referred several people to S S because of their positive impression when they are given a Kindness Coin! From restaurant wait staff who go out of their way to be attentive to friends giving me a lift when my car broke down these coins show that they and their actions are truly appreciated! No one will argue with the coin message and it is an easy way to say thank you for their help in a lasting way. Better than a follow-up letter or can be used in a follow-up letter.